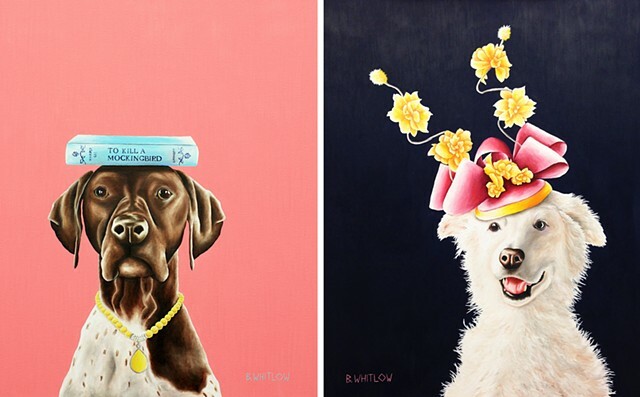 The work of internationally known artist, Beth Whitlow, is characterized by a fresh, whimsical perspective on dog portraiture. Her current body of work focuses on the juxtaposition of the fantasy world and reality, while providing a refreshing commentary on the canine intellect. Using the glamour of fashion to represent each dog’s personality, each piece shows the unspoken expectations house pets must have by how they are treated as equals in our families.